The Gulf Stream transports warm water towards Northern Europe. This flow is driven by northward flows replacing water that sink in the Norwegian Sea, but also by the wind blowing over the sea. In some regions, the wind can be the strongest driver. 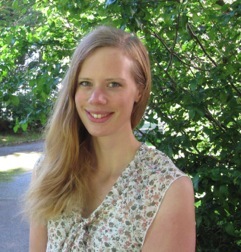 Carina Bringedal studies the role of the winds at the entrance of the Norwegian Sea. The North Atlantic Thermohaline Circulation (THC) is part of a large-scale density driven ocean current that is supplied by warm, saline water through the northern limb of the Gulf Stream. These warm waters loose heat energy to the atmosphere in the Nordic Seas, sink as they become colder and denser and then flow southward in the deep ocean. This heat loss provides northern Europe with a relatively mild climate. Although the circulation is density driven, variations in the circulation can happen through external forces such as wind forcing. Observations of the North Atlantic THC suggest that the water mass exchanges across the Greenland-Scotland ridge is fundamentally related to wind forcing. The goal of my project is to identify and formulate how the atmospheric forcing affects the northern THC. Understanding the water mass exchange mechanisms correctly enables us to better predict how the system will respond to climate changes and the circulation’s stability with respect to perturbations. In a broader context, where is your piece in the big puzzle? It is suggested that the northern THC may be weakened by increased freshwater supply from melting Greenland ice and increased precipitation in a warmer climate. However, as the northern THC depends on several factors, such as the heat and salinity supply through the Gulf Stream, wind forcing and dynamical interaction with the atmosphere, there is no simple answer to this. The goal of my project is to better understand the THC interaction with the atmosphere and its possible feedback, which may contribute to predict future development of the THC in a changing climate. As the North Atlantic THC is so important for the climate we have in northern Europe, and in Norway in particular, it is very interesting for me to do research on a topic that could highly affect the climate we experience here. It is motivating to focus on something that one feels such a close connection to and this gives a more “hands-on” involvement. In the larger perspective, the THC is important for the global climate as well, receiving interest from researchers all over the world. Getting into this setting with so many researchers focusing on related topics gives a stimulating atmosphere for research.